Tenants can be a real handful, but a bad tenant can make you reach a point where you think tenants are more hassle than they are worth. But renting out your property doesn’t have to be a horrible experience. There are lots of great tenants out there and there are steps that you can take to ensure that you get a good one. Corporate property management companies, like Latitude Properties Limited, have years of experience in matching landlords and tenants and can help you screen tenants and make good choices. It is the landlord’s responsibility to verify tenant information and to ensure that they are who they claim to be. This is a time consuming, but necessary, task and it is vital to have a good tenant screening procedure. You don’t want to be winging it, because choosing the wrong tenant for your commercial property can be a costly mistake. If anything in their documentation throws up a red flag then it’s probably best to move on to the next applicant. This is an essential part of a background check. It is good to ask your initial questions over the phone. You don’t want to waste your time, and the tenant’s time, showing a property to someone who is not suitable and that you could have eliminated after a brief telephone conversation. Before you meet, find out their budget, when they want to take occupancy, if they have given notice to their current landlord and their credit rating. Screening a tenant is not just about paperwork. A person can look very good on paper but you need to get a feel for them as well. Be curious and ask leading questions. Find out what their relationship with their previous landlord was like. If they are looking for new premises because they need more space, or their current property no longer suits their needs, that’s great, but if they are leaving on bad terms, then it’s worth investigating further. Don’t just rely on the tenant’s references and application forms, dig a little deeper. Never use the phone numbers provided by the tenant to contact a previous landlord. Look up the details yourself to ensure that they are genuine. Don’t rely on the credit report provided by the tenant but rather get a third party to pull a credit report for you. Check the tenant name against information online and make sure all the information, like phone numbers and addresses, match their application. Also, check for criminal activity or fraud convictions. Visit their social media pages, what people post online can tell you a lot about the type of person you’re dealing with. You don’t have to be a mind-reader to spot potential nightmare tenants, but you do need to be able to read people. If the tenant is overly excited about the property and wants to move in immediately, be cautious. Most tenants start looking for properties a month or two before they intend to move and they need to give their current landlord notice. A tenant that is too eager could be desperate because they’ve been evicted or turned down by other landlords, for good reason. Be wary of applications that look too good to be true, they probably are. If a tenant is telling you everything you want to hear then make sure you do a thorough background check. As you can see, screening a tenant can be confusing and time-consuming, and that is why it is often best to use a professional corporate property management company. 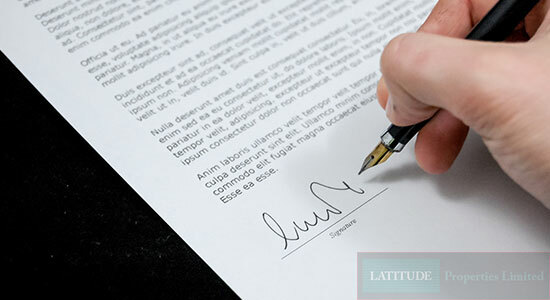 Latitude Properties Limited can help you take the guesswork out of the equation and brings you only the best tenants.